It sounds like a classic tale of the American dream and yet it’s contemporary. Jason Stanley and Marc Franchi (who are cousins, by the way) bought a tiny optical business called Frieze Frames in Ventura, California back in 2009. 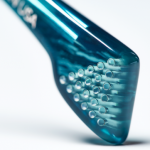 Their dream was to create a line of luxury eyewear not only headquartered or designed in America, but actually manufactured in the USA. Everyone told them why it wouldn’t work – the high cost of labor, the lack of people skilled in the trade, you name it. But, like true heroes, they didn’t just give up. By visiting eyewear factories in France, Italy and China, they gained expertise in the manufacturing process and indeed brought it to America, albeit on a small scale. 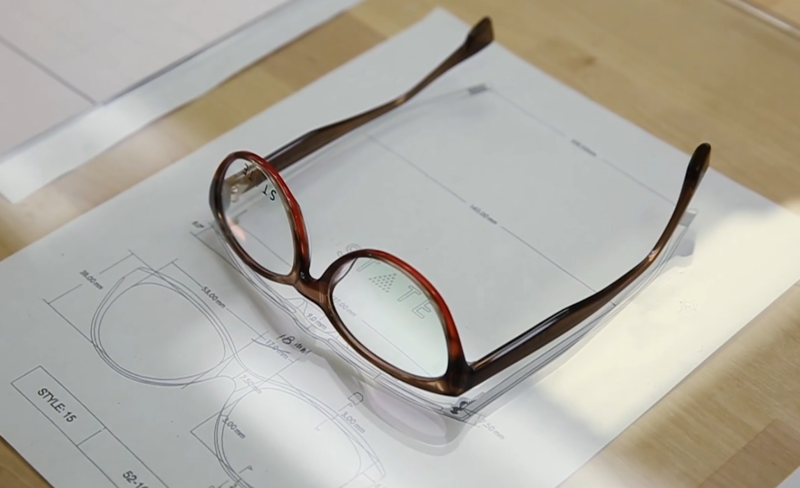 Together, the new partners enlisted the aid of experienced frame designer Blake Kuwahara, who created 12 ophthalmic and six sunglass frames for the STATE’s “Made in America” collection, which made its official debut last September. Kuwahara’s vision was brought to life in a beautiful new state-of-the art facility outside Chicago where specially trained American workers undertake at least 35 steps to produce each frame (and up to 70 steps for ultra-luxury models). Over 50% of the production is done by hand in a painstaking process that requires a full two weeks. These frames are not molded, but rather are cut from blocks of material, then the details are cut into the frame and the pieces are hand polished. 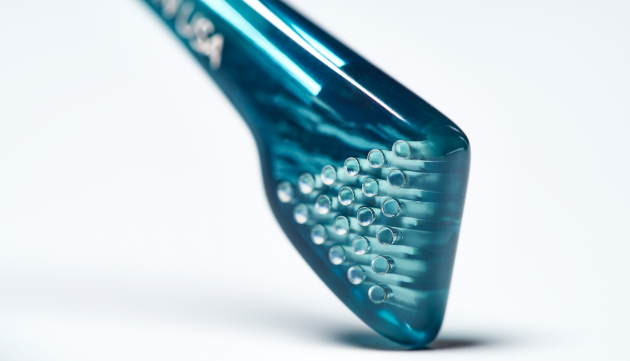 The texture and balance of the frame, along with superior machined metal components, gives a luxury aesthetic and tactile experience. 21 drilled holes to represent Illinois, which was the 21st State to enter the Union. These classic, sleek and yet elegant acetate frames bear a logo with special meaning. At the end of each temple, you’ll find a pyramid of 21 points that are drilled into the frame and then filled with a contrasting color epoxy. Why 21? Because Illinois, home of the new US factory, is the 21st state. Planning a summer vacation to the Midwest? 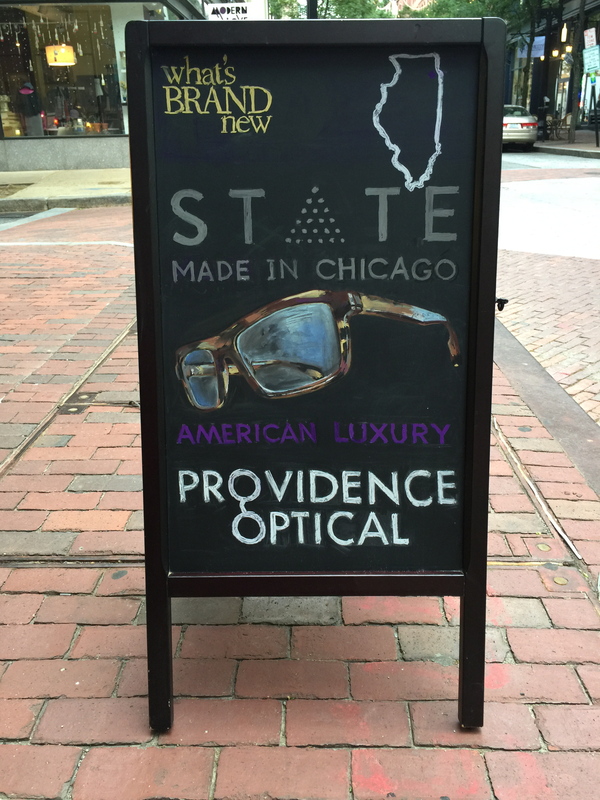 STATE Optical welcomes visitors to its Chicago-area plant. That’s right; you don’t have to be a business owner or an eye doctor. All are welcome to witness the beginning of what STATE hopes will be a new wave of products manufactured in America. 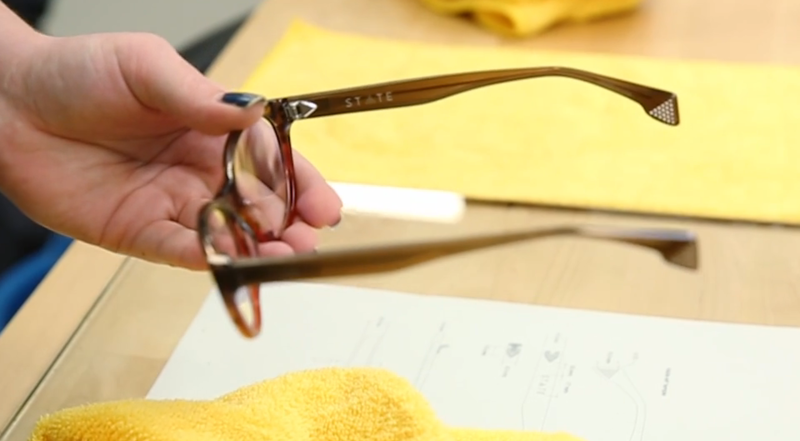 We’re proud to offer STATE Optical’s high quality, luxury eyewear line. Come see for yourself what Made in America really means.